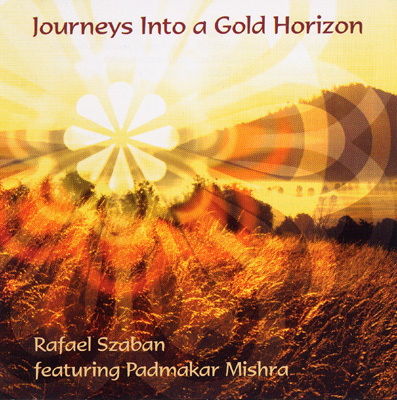 Seven new compositions from Rafael Szaban (Be Still) that will take you into sound, contemplation, dream and light. Featuring world class musicians, with Padmakar Mishra on sitar on the ‘Gold Horizon’ track, a 20 minute journey that will melt your heart. Also featuring, Anand Meru (undertone deep voice Tibetan chant), Baluji Shrivastav (tabla), Rajan Sharma (voice), Nadishana (bansuri and fujara flutes), Matt Hooper (duduk), Elisabeth Perry (cello). A contemporary production with World flavours. A must buy for all spiritual seekers and fans of World and New Age music.